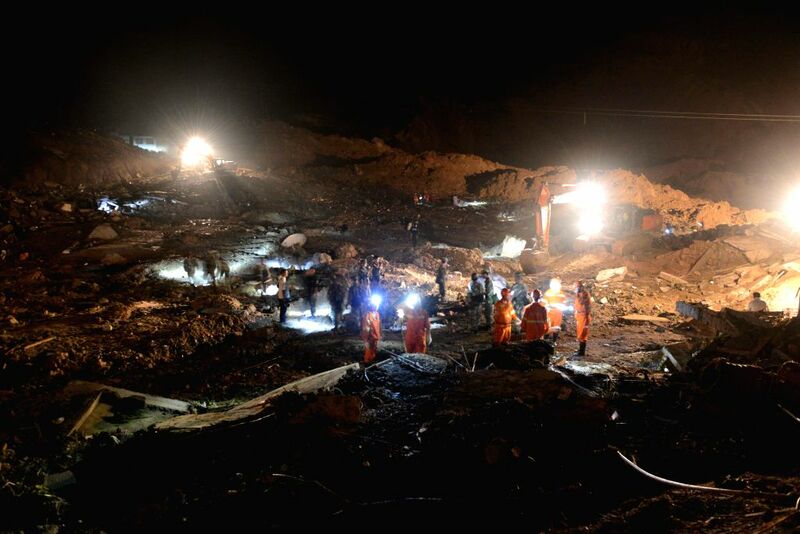 FUQUAN, Aug. 28, 2014 - Rescuers work at the site of landslide in Yingping Village of Daoping Town in Fuquan City of Qiannan Prefecture, southwest China's Guizhou Province, Aug. 28, 2014. At least six people were killed and 21 remained missing as of Thursday morning after a landslide struck the village on Wednesday night. A total of 77 houses collapsed or were buried in the landslide and the life of 154 villagers were affected.